Are your windows in need of replacement? Do you have glass or frame damage? We provide a turnkey replacement window service, taking out old and damaged windows and installing the latest energy efficient products from our top quality vendors. We also provide and install replacement glass for windows of all sizes, and perform window repairs where necessary. Are your exterior doors faded and weather-stained? Do your inside doors need repair or replacement? We provide and install a full line of internal and exterior doors for all size homes and budgets. Nothing changes the look of entering a home as a new energy efficient door from one of our top quality suppliers! We can also provide replacement hardware (doorknobs, locks, hinges) for both internal and exterior doors. Tired of the hassle of cleaning up ashes and debris from your fireplace? We offer a full line of the best gas logs in the market, with installation by our experienced team. Are your screens worn and torn? We offer a full line of window screens, including the latest in solar screens, with installation by our experienced staff. 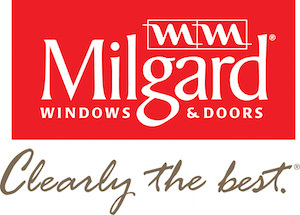 Wondering if you can afford new windows, doors or screens? We offer free estimates and price quotes on all replacement products. Give us a call or drop us a note and let us help you decide how to beautify your home! Please feel free to contact us for more information or with any questions you may have.